Cranberry sauce made from fresh cranberries (like my Aunt Angie makes) is always delicious. 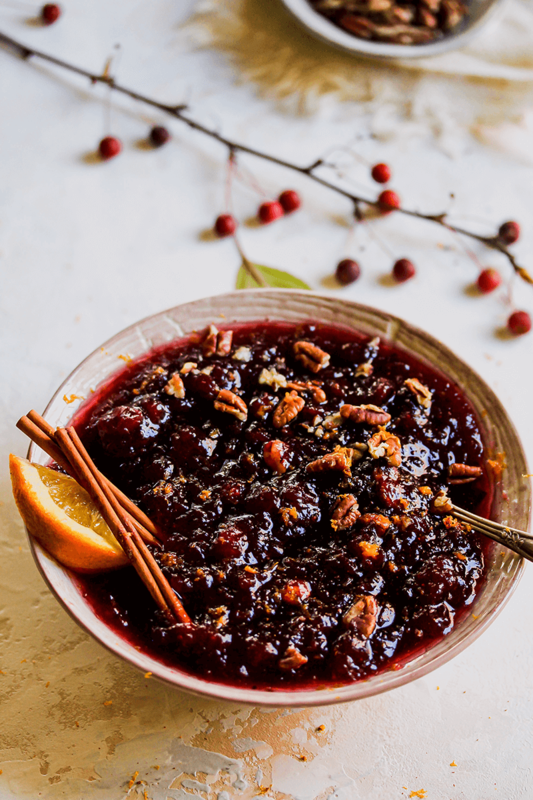 But sometimes you need to streamline the work and take a shortcut that tastes just as good like this Shortcut Pecan Cranberry Sauce! 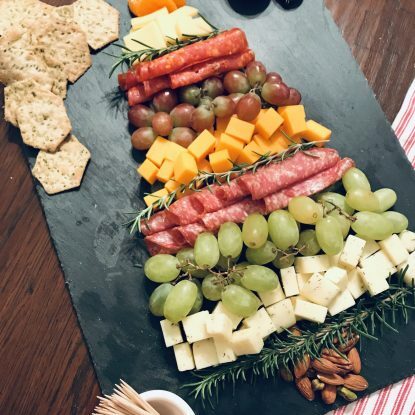 That’s why I’ve committed this holiday to sharing my favorite shortcut tips and recipes that do the job in a fraction of the time. If creamy mashed potatoes are on your list, then definitely check out my (shortcut) Loaded Mashed Potatoes. In need of an activity to keep your kids busy while you (shhhh!!!) transfer the pie you bought at the bakery to your own pie plate? 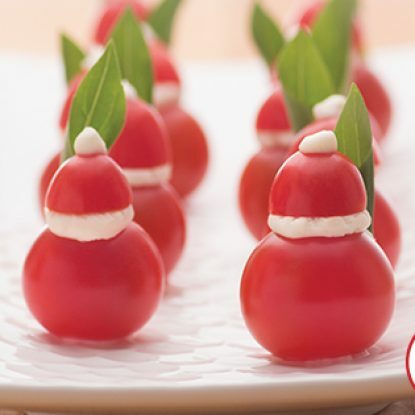 Pass them a cold jar filled with warming spices and cream and get them shaking. You can totally make a store-bough pie your own when you top it with a dollop of homemade whipped cream in a jar! 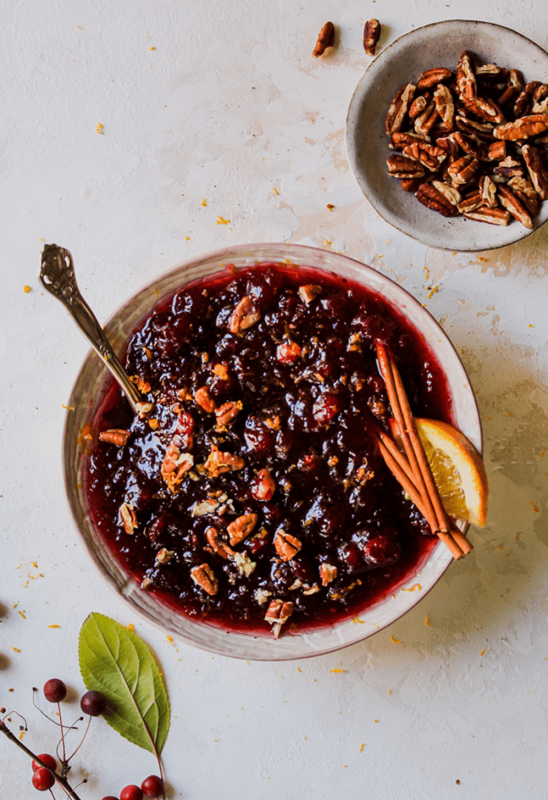 And if the sliceable cranberry sauce is what you prefer, take it to the next level by layering with mandarin oranges, pistachios and goat cheese in this Layered Cranberry Salad. 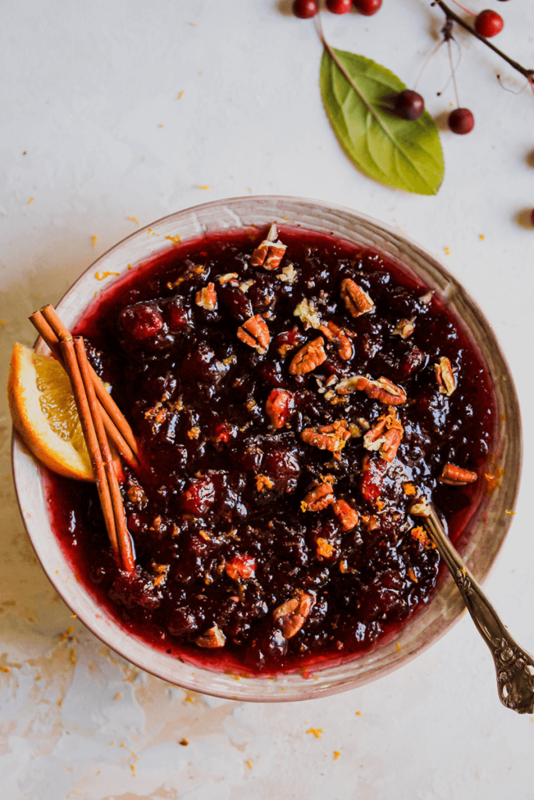 Dress up this year’s cranberry sauce side dish by starting with a can of whole cranberries and adding some high-quality stir-ins from there. 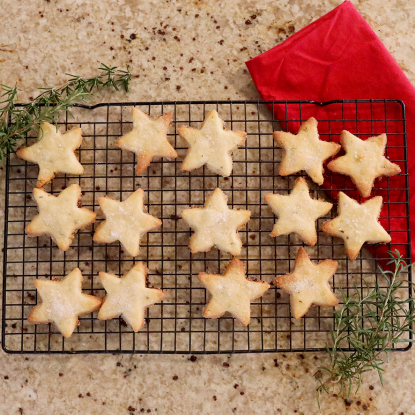 The beauty of this recipe is that you can customize with what you have based on the flavors that your family enjoys. In this dish, I stirred in chopped pecans, fresh orange juice, ground cinnamon, orange zest and orange-flavored liqueur (I used Grande Marnier). The results were beyond amazing and best of all, the entire recipe took less than 10 minutes from start to finish. Prep the entire recipe the day before and store in the refrigerator. When you’re ready to serve, zest some orange rind on the top and garnish with a slice of orange and a cinnamon stick. If you’re assembling the day of, go ahead and have your pecans chopped and toasted (this adds more flavor!) before getting started. Save leftovers in an airtight container in the fridge for up to 3 days. Try adding leftover cranberry sauce to a smoothie for a boost of sweet and tangy flavor. Add cranberry sauce, milk, and a banana to a blender then give it a whirl. Stir together ingredients (except garnishes) in a medium-sized bowl until combined. Refrigerate for 2-24 hours to allow flavors to blend. When ready to serve, garnish with additional chopped pecans and orange zest. 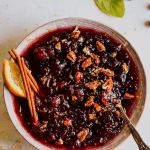 Consider this one of those "a little of this and a little of that recipes" because the beauty is that you can use what you have on-hand to jazz up ordinary canned cranberries.